Your SHIELD TV is getting a major upgrade. SHIELD Experience Upgrade 7.0 introduces a brand new home screen that, for the first time ever on a media streaming device, brings your favorite TV shows, movies, music, games and apps to a single screen. 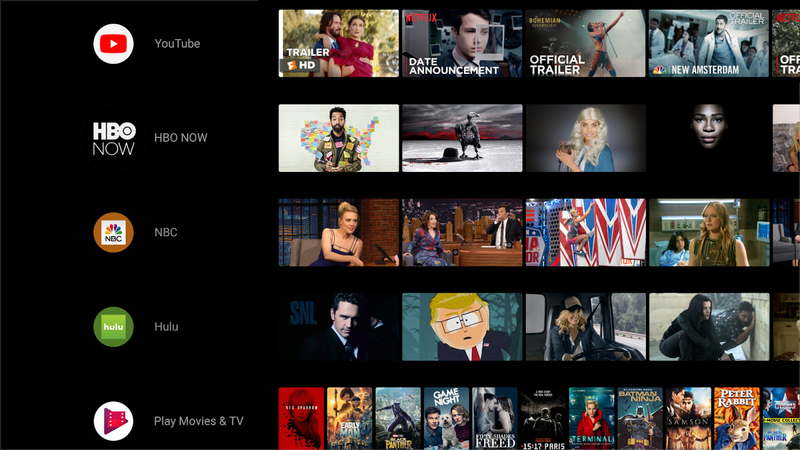 Whether the content is live TV, video on demand, or locally saved movies or shows, the new user interface has a home for it all without having to open apps to find your favorite content. The new home screen is easily customizable, making sure you have the content you want, right in front of you. The Apps row is, you guessed it, the row with your favorite apps. You get to choose the apps and the order. Simply hold the Select button on an app to move it or remove it. At the end of the row, you’ll find the “+” tile, used to add apps to the screen. To access all your apps, simply hold the Home button or select the red Apps icon. The Play Next row displays the movies and shows that you haven’t quite finished watching or the latest games that you’re playing. You can add movies, shows or games that you want to play next to this row as well. To add content to the row, hold the Select button and choose Play Next. Not all apps support this feature just yet but apps are regularly adding support. While the Play Next row is a simple way to remember which episode of Game of Thrones you need to watch next, you can also choose to bump the row down or disable it entirely -- it’s your home screen! Below that you’ll find your Channels. Just like a traditional guide, Apps listed as channels display popular content. Channels are designed for quick discovery of great new entertainment. But unlike a traditional guide, you’re in control, choosing the order your channels appear on SHIELD. Navigate left on a channel to move or remove it. Want NBC next to HBO? No problem! 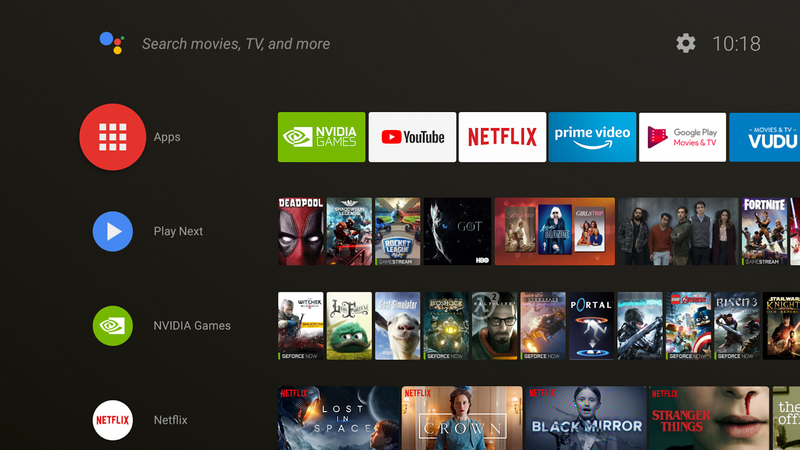 Most of the top apps already support Channels: NVIDIA Games, YouTube, Netflix, Google Play Movies & TV, Vudu, Plex, Hulu, HBO NOW, Showtime, Starz, Google Play Music, Twitch, Spotify, NBC, Live Channels and many more. Your Google Assistant is always standing by and ready to help you jump straight into your favorite shows with a simply voice command “Okay Google, play Westworld” or discover new shows “Okay Google, show me some sitcoms on Netflix”. Hold Select button (or A button on gamepad) on content to add to Play Next. Hold Select button (or A button on gamepad) on apps to move or remove. While on a Channel row, navigate all the way left to move or remove it. A special thanks to all of our SHIELD fans who have been patiently waiting for this release. Android TV Oreo was introduced as a fantastic, customizable, entertainment-first interface and it was a dramatic shift for content discovery. We wanted to make sure the experience was snappy and enjoyable, with all the content you’d expect. Channel and Play Next support continues to get stronger with each passing week as more app providers bring their content to your home screen.